Need a goalkeeper glove with finger protection and have a budget? 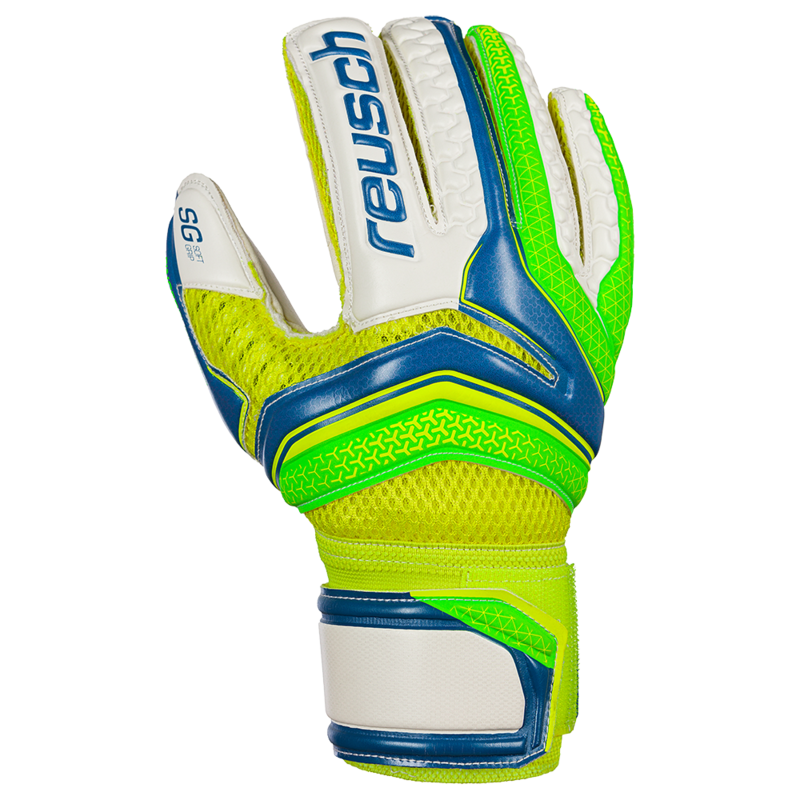 Reusch uses the finger support technology in its gloves to protect the fingers and thumb while reducing the cost from the Ortho Tec line. 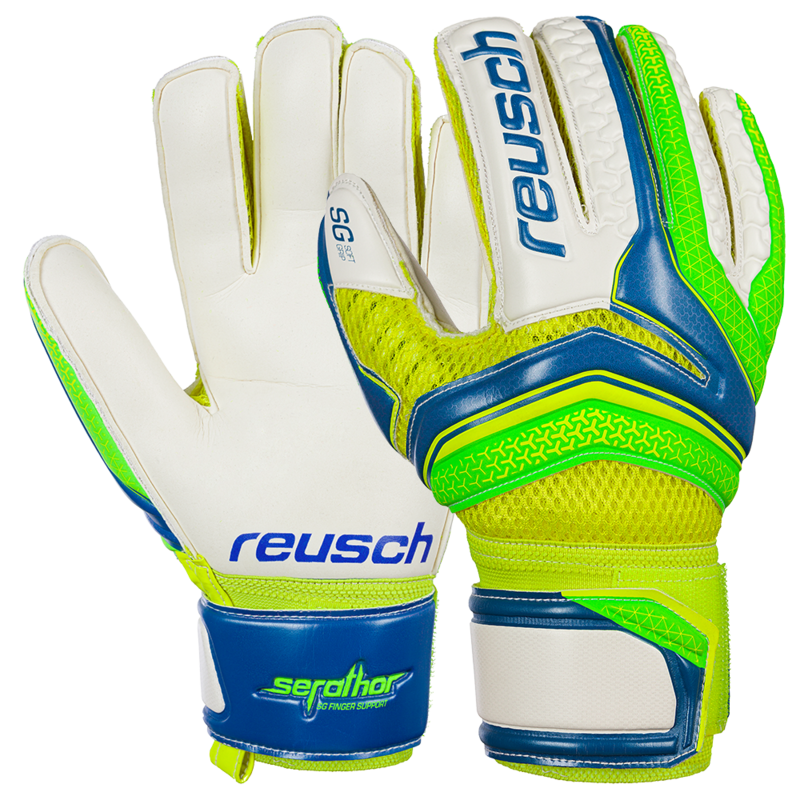 Reusch's SG soft grip foam is a quality palm made of natural and synthetic latex mixture. Great entry level latex to provide a developing of adult league goalkeeper a balance of grip and durability at a sale price. Deeper thumb notch on the face fo the glove that includes an elasticized peice below the foam to help eliminate tear out. 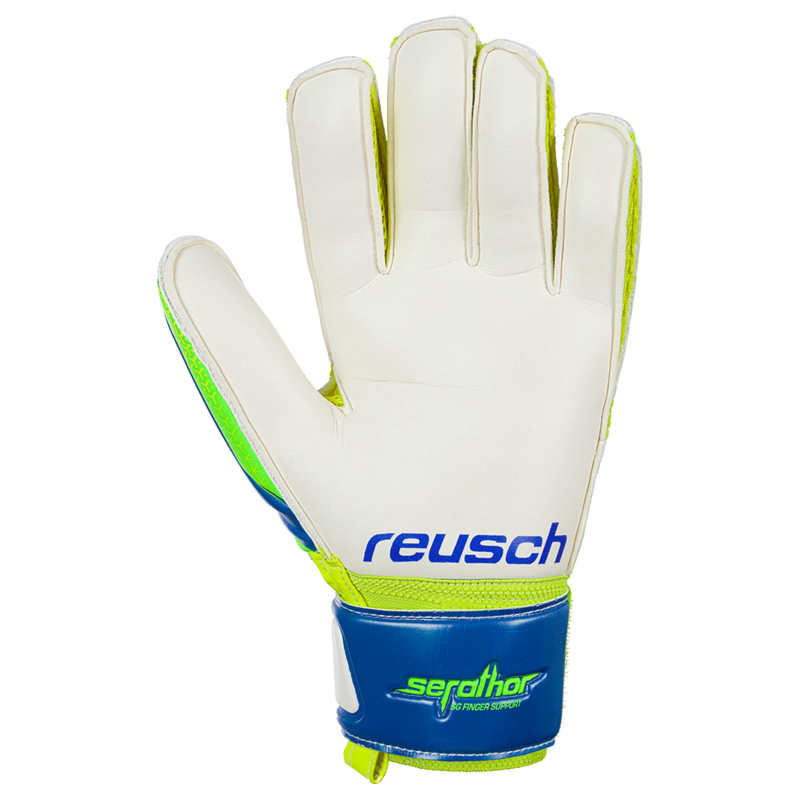 Reusch Finger Support stays are flexible plastic spines that span the length of the fingers and thumb to help prevent hyperextension and other injuries. They are not as rigid as the Ortho-Tec system and less expensive. The Finger Support stays are perfect for the adult goalie who wants some protection, but still have the flexibility. 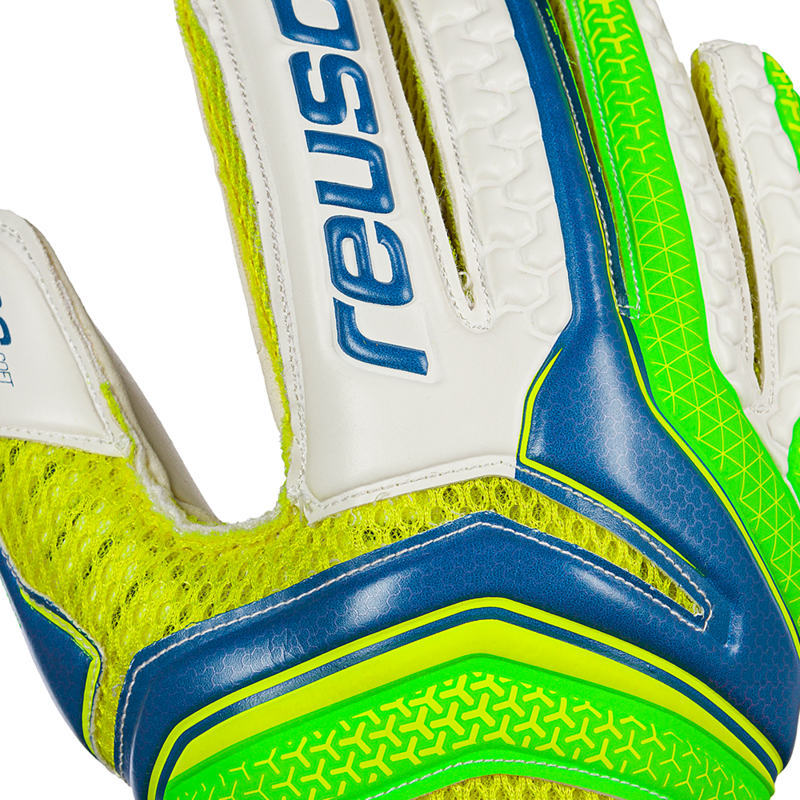 The reusch glove features a soft EVA backing. Embossed foam design makes the glove more flexible and many breakpoints across the backhand. Mesh gussets for comfort and breathability. Reusch's Expanse Cut is ergonomic by nature and is characterized by its outer seams which enlarges the inner surface of the glove. The increased latex to ball contact makes catching hard shots easier. Comfortable fitting glove. 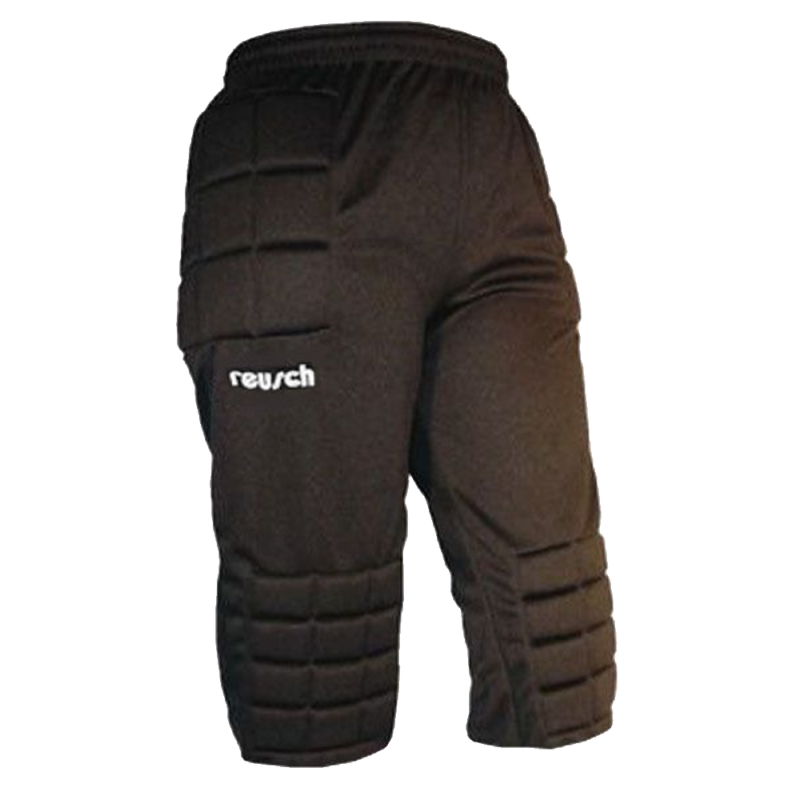 High school or adult league keepers that want more durability and finger saves. The SG latex is a reliable in all weather conditions but best used in dry conditions. Reusch glove sizes size 7 8 9 10 and 11. Color combination is white, neon green, fluorescent yellow. Excellent customer service, I ordered the same item twice by mistake and they respond and fixed it very quickly. Excellent gloves too, I recommend them for amateurs and college goalkeepers. Good gloves but they wear out faster and to easy.